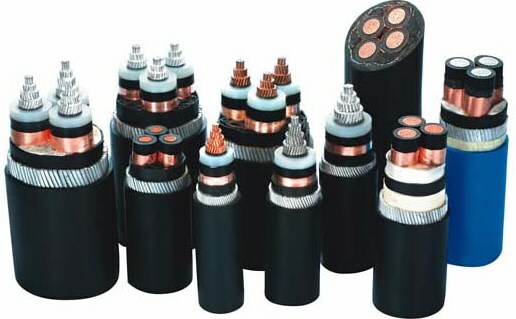 Generally speaking, the construction of swa armoured cable comprises five components. Conductor: stranded copper or aluminium core. You know that both of them has good conductivity. Insulation: materials such as cross-linked polyethylene (XLPE), polyvinyl chloride (PVC ) or ethylene propylene rubber (EPR), which can provide high temperature resistance and excellent dielectric strength-providing enhanced electrical properties. Bedding: a layer to create a protective barrier between the insulation and the armour. Armour: a steel armour provides mechanical protection to allow the cable to withstand the mechanical tension and pressure. Sheath: the constituent parts of the cable are held together by a sheath offering a further level of protection. Black sheaths can be carbon-loaded for UV stability. The voltage ratings of swa cable manufactured by Huadong is 600/1000V, 6.35/11kv and 19/33kv. What’s more, some steel wire armour cables in our company have conductor shield, insulation shield and metal shield. If you want to know more information about swa cable, you can visit Huadong Cable Group website and leave your message, we will reply in 12 hours. 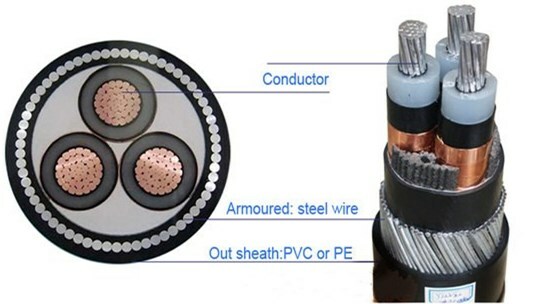 What is the property of steel wire armoured cable? Excellent mechanical strength. As its name suggests, there is a steel wire armour layer in the swa cable construction. So the swa cable has excellent tensile and pressure resistance. That is why we choose it to support elevator operation. We believe that Huadong swa armoured cable will supply the enough mechanical strength for your projects. If you buy this cable, contact us and we can send swa cable prices to you. Good corrosion resistance. The armour layer not only can enhance the mechanical strength of the cable, but also can improve the anti erosion ability. For example, you can directly bury the xlpe swa cable in free draining soil, outdoors, indoors, underground systems and in cable ducting. Even in the areas where prone to mechanical damage and corrosion, you can use any kind of way to steel wire armoured xlpe cable. It is also suitable to bury in rock areas. Superior anti external performance. Generally speaking, one of steel wire armour layer properties can protect against mechanical damage. For example, it can prevent rats from biting so that they don’t cause power transmission problems through armour. That’s to say steel wire armoured cable has longer service life. Of course, there are other performance of swa cable, if you want to know more, just contact us. How to get the most reasonable swa cable price?